Randy Worcester (“WOO-ster”), REALTOR®, CRS, ABR, GRI, MRP, e-PRO, AHWD, Broker/Owner of Weichert Realtors–Home Pros in Clarksville, is a 2019 Division 2 Vice President for Tennessee REALTORS®, representing the Middle Grand Division at the state level. A veteran of 12+ years in real estate, Randy is a member of the Clarksville Association of REALTORS®, where his many leadership roles have included President (2014); Ombudsman & Mediator (2016-17); and Chair of multiple committees, including RPAC, Strategic Planning, and Education. At the state level, Randy has served as a Director (2011-15) and a member of the Convention Committee (2016-17). He is a graduate of Leadership Tennessee REALTORS®. 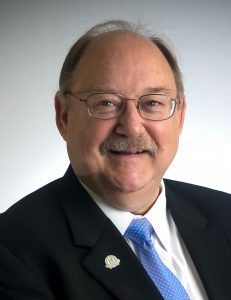 Randy is deeply involved in the Council of Residential Specialists (CRS), having served as its State President in 2016 and in numerous other leadership roles. In the community, Randy has volunteered as President of Clarksville Sunrise Rotary Club (Paul Harris Fellow), Commissioner for the Middle Tennessee Council of Boy Scouts of America (spanning 16 counties), and Clarksville Citizen Forester. He and his wife, Peggy, also a distinguished REALTOR®, are the parents of two children, each of whom works in real estate. As 2019 Division 2 Vice President, Randy is available to update Local Associations and other audiences on timely real estate topics from a statewide perspective, provide information about member services and benefits and listen to any insights or ideas that could be shared at the state level.